1. Due to the prohibition and limitation of dangerous goods on aircrafts, lithium battery could be shipped ONLY by Hong Kong Post Surface Mail (7-10 Weeks) for “STANDARD SERVICE”. All the remaining items in the same order would be ship separately by another selected shipping method. 2. However, lithium battery could be shipped by DHL (3-5 Days). We would use DHL to ship your lithium battery orders if you had chosen the “DHL EXPRESS WORLDWIDE” as the shipment method during purchase. 3. Some countries may have strict regulations for importing lithium batteries; please consult from your local custom before ordering. 1. Customer must pay extreme caution during the use of Lithium Polymer (Li-Po) Batteries. 2. Please use specific charger for lithium battery. 3. Put the batteries in fire-proof container in Charging / Store / Transfer. 4. Never leave batteries unattended when charging. 5. High Quality Balance Charging or using Lithium Battery Balancer is strongly recommended. 6. Improper use of Lithium Batteries may cause damages or lead to safety problem, e.g. overheating, leakage or explosion. 7. Please ensure you understood the precaution guidelines and consider thoroughly about the corresponding risks before making a purchase of lithium batteries. 8. 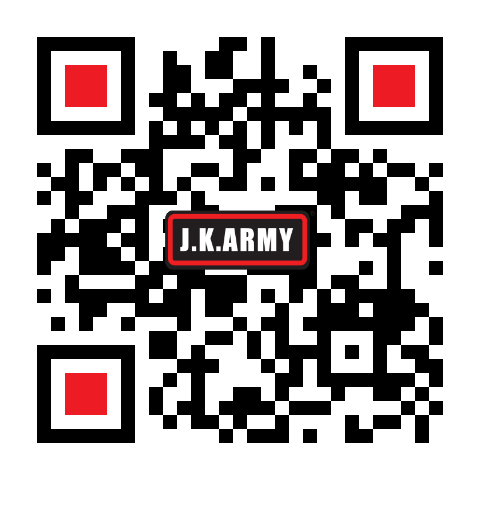 J.K.ARMY LIMITED is not responsible for any damages caused by misuse or mishandling of Lithium batteries in charging or damage caused by other Lithium batteries not supplied by us.